We invest a lot in MEF on a year round basis. 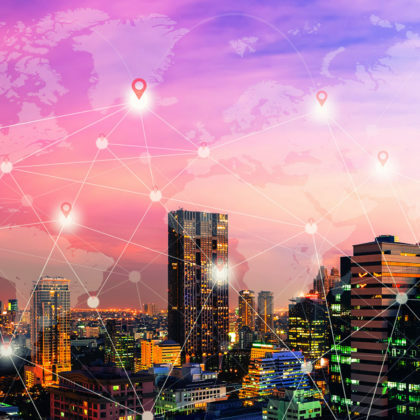 This global community is changing networking and telecom services for the future and we’re happy to be on the leading edge providing our software development and network innovation expertise to benefit the industry. Where this investment of time, money and brainpower show up publicly is at MEF events like the recently held MEF18. We were involved in two proofs of concept (PoCs) focused on automating inter-carrier service provisioning and also on multi-vendor SD-WAN services using container-based uCPEs. On this page, we’ve collected some of the content and links to describe these projects and provide information on where you can find out more about these breakthrough technology initiatives. In this PoC, Amartus, along with partners ECI, Equinix, Liquid Telecom, Spirent, TI Sparkle, and Tata Communications, demonstrated an automated and assured orchestration of MEF services across multiple operators’ domains, on production networks, showing the ordering and fulfillment of a connectivity service and VNF deployment. The PoC was able to show the feasibility of using NFV-based service activation and testing solutions for MEF 3.0 Carrier Ethernet services via LSO Sonata, Cantata, Legato and Presto APIs. Amartus and TI Sparkle presented this PoC aimed at facilitating an SD-WAN service across multiple service providers. SD-WAN is one of the hottest software-defined applications in the industry and this demonstration will use Lifecycle Service Orchestration (LSO) in an SD-WAN application to show how the configuration, deployment and teardown of a multi-vendor service can be automated. PoC Video: MEF has shot video of the PoC and is producing that right now. It should be available in a few weeks and we’ll post a link to that right here when it’s ready. The visitors in our booth had a chance to see blockchain in networking in action. We were presenting a demo of Amartus’ solution addressing some of the most critical issues that modern Service Provider face today. Our Gateway with Blockchain platform makes use of LSO Sonata API to automate the connectivity between providers, and applies blockchain to provide for secure, real-time, reconciled transactions settlement. To stay in touch with Amartus and its activities, follow us on social media, LinkedIn and Twitter, or register here for our monthly industry newsletter. 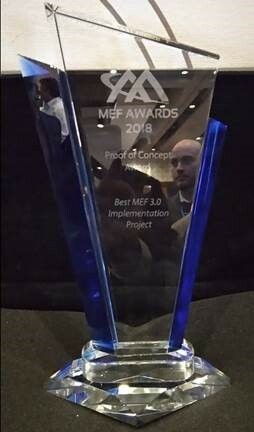 MEF Recognition Awards – We’re Honored to Be Included!